Real sounds and unlimited expansion. 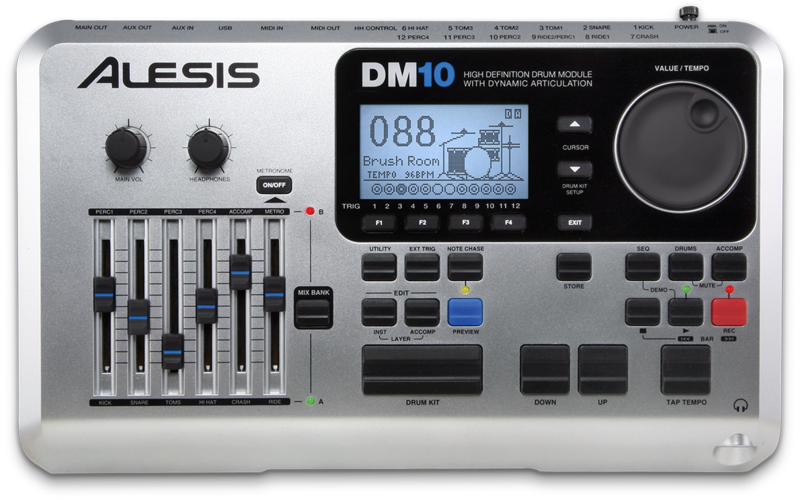 The DM10 is the drum module you've been waiting for. Not only does it deliver lightning-fast, uber-accurate tracking, the widest dynamic range of any module, incredibly drummer-friendly operation, a massive input section, but it also has the most realistic, natural sound set available in any drum module. But that wasn't enough for us. Of course the DM10 has a built-in sequencer, metronome, top-panel mixer, and a variety of outputs, but the DM10 is also the first drum module to enable you to update its sound set via standard USB connection with your Mac or PC. You will immediately notice the DM10 module’s outstanding sound quality. The module contains true drum, cymbal and percussion sounds built from uncompressed samples of classic studio drums and prized cymbals. You'll find some of the most in-demand acoustic drum sounds from legendary drum brands, a huge arsenal of top producers' go-to snare drums, real American, Canadian, Chinese, and Turkish cymbals, and a choice selection of classic drum machine and electronic percussion sounds that have fueled the biggest hit records. The DM10 module has 12 trigger inputs, perfect for creating custom configurations. You can use it with virtually all drum and cymbal pads and acoustic drum triggers thanks to easy-to-configure trigger settings. The DM10 also has full MIDI implementation so if 12 trigger inputs aren't enough to accommodate your giant setup, just add the Trigger|iO (sold separately) and keep adding on with 10 more inputs! The DM10 accommodates both continuous and switch (open/closed) hi-hat control pedals. You get full MIDI implementation including both MIDI In and Out for working with traditional MIDI gear along with the USB jack, which can also send MIDI to your Mac or PC. The DM10 also has a stereo Auxiliary input for connecting line-level devices like a CD player or iPod so you can play along. 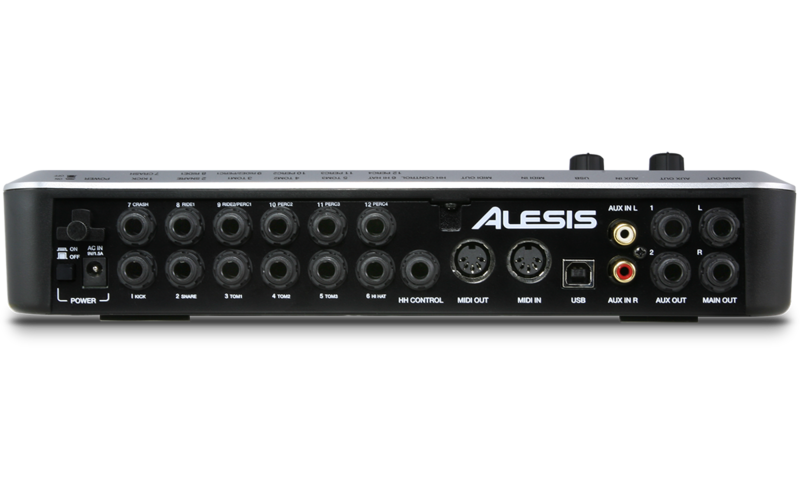 The DM10 has two stereo pairs of 1/4" outputs for main and auxiliary feeds, so you can send separate mixes to to the house and monitor systems. This enables you to send the metronome or a loop to the monitor mix and not to the audience mix. There's also a high-powered headphone output with its own volume knob. For managing everything easily, there's also a top-panel mixer. 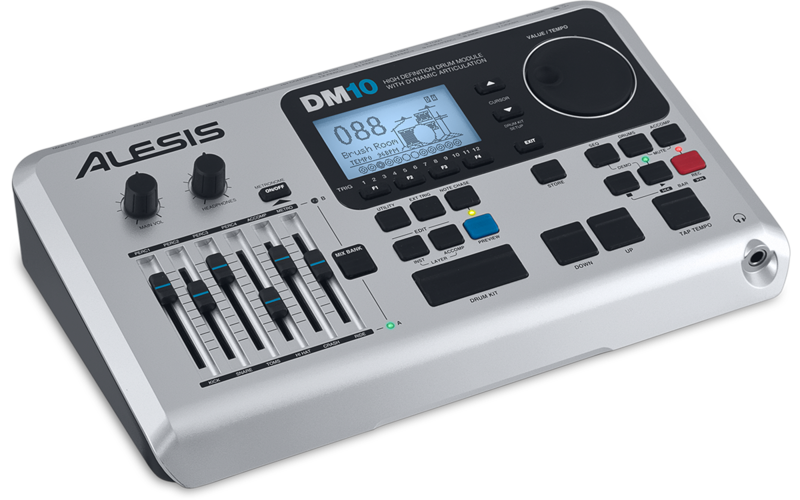 The DM10 is the drum module drummers of the world have been waiting for. Its built-in sounds, performance capabilities, and flexibility give you the power you need, and the ability to update its sound set via USB places the DM10 in a class of its own.